Zoeva Cosmetics is one of those brands that I love, but also one of those brands that I avoid cuz they can get pretty pricey. I’d love to throw some dolla bills, but home gurl doesn’t have the cash (for now). I love the brushes from Zoeva, and their Caramel and Cocoa Melange shadow palettes. 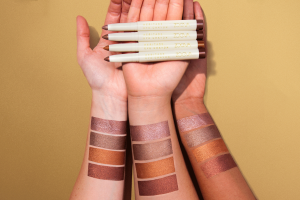 But Zoeva’s newest collection – the Heritage Collection – is all sorts of stunning. With luxe gold mosaic packaging inspired by ancient Greek art, the Heritage collection is destined to become a classic. Featuring multifaceted shades that pay tribute to Greece, Heritage is a reflection of the country’s rich artistic tradition and proof that everything old is new again. 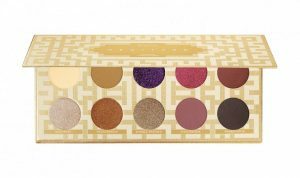 The collection includes an eyeshadow palette, a pressed highlighter and also four eye crayons. Inspired by ancient Greek art, the Heritage Eyeshadow Palette shines with six matte formulas, including one with glitter, two metallics, one satin shade, and also one shimmer. 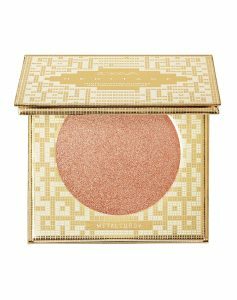 The brand’s first-ever palette with a makeup mirror, the versatile product adds a Midas touch to any look. 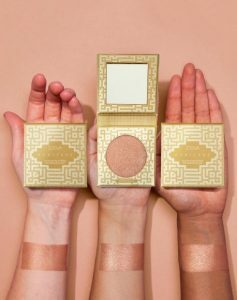 Inspired by the ancient art of Greece, the lustrous, limited-edition Heritage Highlighting Powder is sure to become a classic. Express yourself in a multitude of ways with creamy, lightweight color that you can wear alone or layer for a custom look. In addition, removable sharpener is hidden in the bottom of the retractable eye shadow pen. 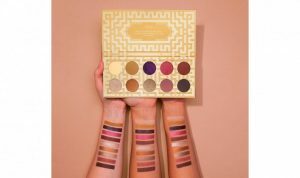 Zoeva’s Heritage collection is now available for purchase on their website.